Complete switch board includes the on/off power switch, reset switch and sync connector. If you are having sync problems when connecting your iPAQ to the PC, a new switch board can solve them. 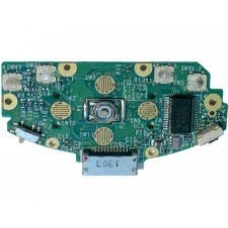 If you are not confident with a 'Do it Yourself' installation of this switch board spare part, just follow the Related Products link below and order the in-house iPAQ repair service. If your iPAQ will not sync because the connector has become damaged or the quick launch buttons are not working anymore,..